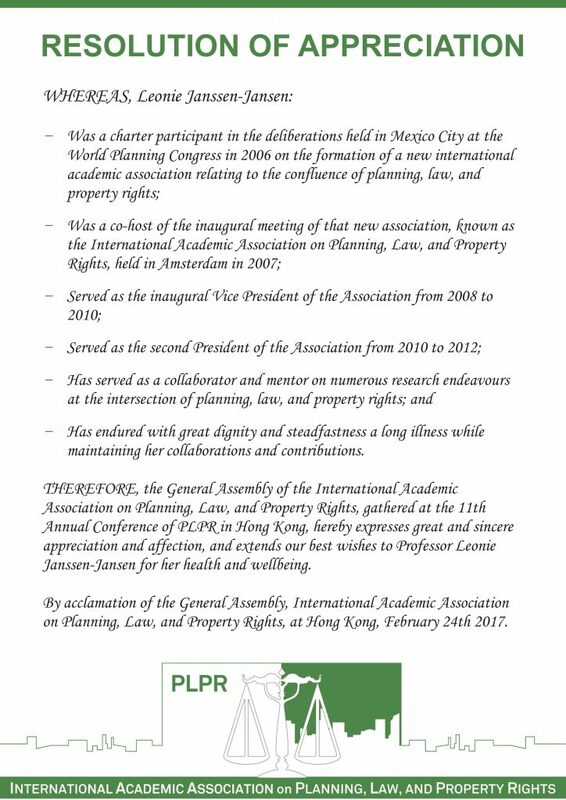 The International Academic Association on Planning, Law, and Property Rights honours a small number of academics of exceptional world-renowned leadership in our field. So far, two persons have been granted the title “Honorary Fellows” by the PLPR ExCo: Prof. Rachelle Alterman (in 2010), and Prof. Philip Booth (in 2012). In 2017, Leonie Janssen-Jansen was granted the resolution of appreciation. 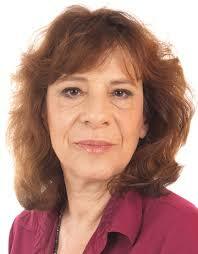 Rachelle Alterman, founding president of PLPR and our first Honorary Member, is professor of urban planning and law. She holds the David Azrieli Chair at the Faculty of Architecture and Town Planning at the Technion (Israel Institute of Technology) in Haifa, Israel. Rachelle has vigorously promoted academic research in the field of planning, law, and property rights, particularly by establishing and chairing the law track at the annual conferences of AESOP and by founding PLPR. Her academic background, both in planning and law, enables her to identify and analyze the links between land use control and property rights.Rachelle has been recognized as an eminent scholar by professional and academic institutions in Israel, Canada, the United States and many European countries. In particular, she has contributed to the debate on planning and law through her comparative research on takings laws, compensation, land readjustment, and exactions.The PLPR community honours Rachelle Alterman not only for her achievements as academic writer and conference speaker. Energetically, she has always been a staunch supporter of PhD candidates and has inspired countless young talents to discover the uncharted territory of planning, law, and property rights. 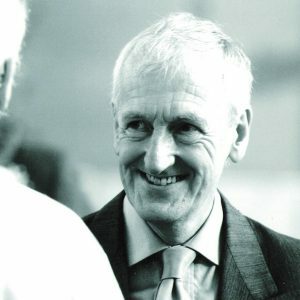 In 2010, Phillip Booth has been appointed as honorary fellow of our association. Until his retirement in 2010, Philip Booth was Reader in Town and Regional Planning at the University of Sheffield, UK. He still is linked to this institute. Educated as both an architect and a planner, Philip Booth worked for local authority planning departments before starting in academia. His work has focused on the public control of private sector development both in Britain and abroad, particularly in France.His published work is closely related to the PLPR themes and included the books ‘Controlling Development’ (1996) and ‘Planning by Consent’ (2003). Currently Philip works on a book on planning and law in common law systems. He has been presenting and discussing parts of this work during the 6th PLPR conference in Belfast (2012) and at the Planning and Law track during the World Congress in Perth (2011). Philip Booth has been an active member of PLPR since the inaugural conference in Amsterdam (2007). In 2012, Phillip Booth has been appointed as honorary fellow of our association.